A local partnership is offering its communities the opportunity to get the help they need to live with and beyond a cancer diagnosis. 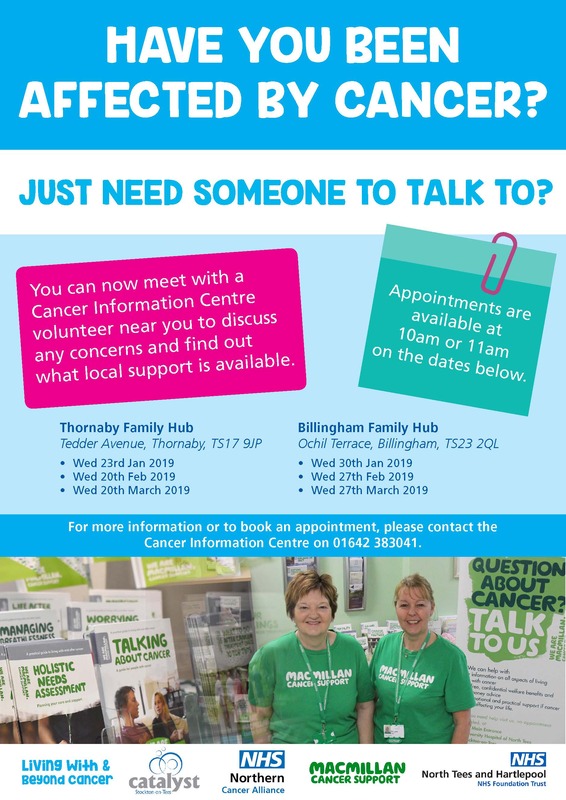 North Tees and Hartlepool NHS Foundation Trust is working with Catalyst Stockton, with support from the Northern Cancer Alliance and Macmillan Cancer Support to offer those who have been affected by Cancer, additional support and someone to talk to. The Cancer Care Co-ordinator who is based at the University Hospital of North Tees is assisting with implementing the Macmillan ‘recovery package’. This means giving communities access to alternative approaches to support, such as a one to one appointment with a Cancer Centre volunteer, to help individuals address their concerns, empower them to manage their own care, and give them appropriate information and support to do so. So who’s it for? Those patients who may not want to return to the clinical setting after completing their treatment. Instead, they can receive support in the community at a place closer to home. For people who may have completed treatment some time ago, butperhaps require a bit of further support. 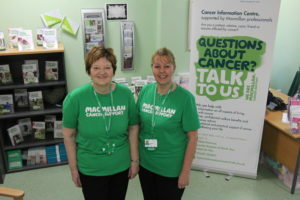 The service works alongside the clinical support and information provided by Cancer Nurse Specialists, offering emotional and practical support, instead of clinical or diagnostic. The initiative is part of the latest Transformation Funding from the Northern Cancer Alliance, focusing on supporting those who may require help after their treatment.